Jordan, M. J, John E Hobbie, and Bruce J Peterson. 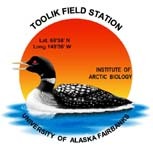 “Effect Of Petroleum Hydrocarbons On Microbial Populations In An Arctic Lake”. Arctic 31, no. 3. Arctic (1978): 170-179. http://www.jstor.org/stable/40508897.